La teoría como acción exhibition of Oscar Masotta that is presented in Barcelona Museum of Contemporary Art exhibits from March 23th until September 11th, 2018, is more than an art exhibition, is an effort for extolling a figure with an important mark in the Argentinian state-of-the-art in the 60s, and it is converted into a conceptual referent for subsequent movements. 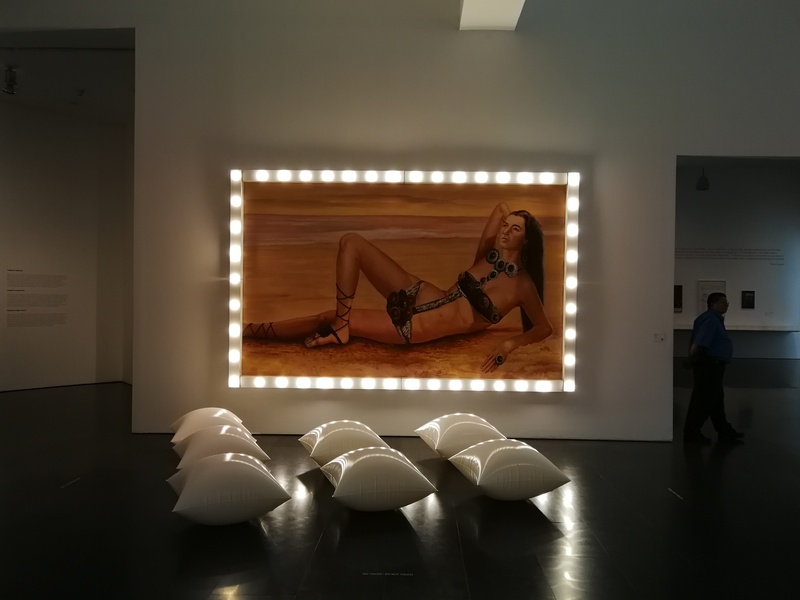 This sample comes roaming from the City of Mexico where it opened in 2017 and will arrive in Buenos Aires after closing in Barcelona, three poles where the influence of the Argentinian artist has been more profound. First of all, Masotta was a theorist and his involvement in the plastic arts is mainly conceived from research, criticism and curatorship; this is what makes the sample so interesting, on the one hand it aims to unravel as the historical figure and political subject and on the other emphasizes its contribution to the artistic imaginary with an approach to its most practical activity: the happening and its personal version ” Anti-happening “. The choice of the community cannot be more accurate, because Ana Longoni has extensive experience in developing discourses around the intersection between art and the Latin American social/political context. 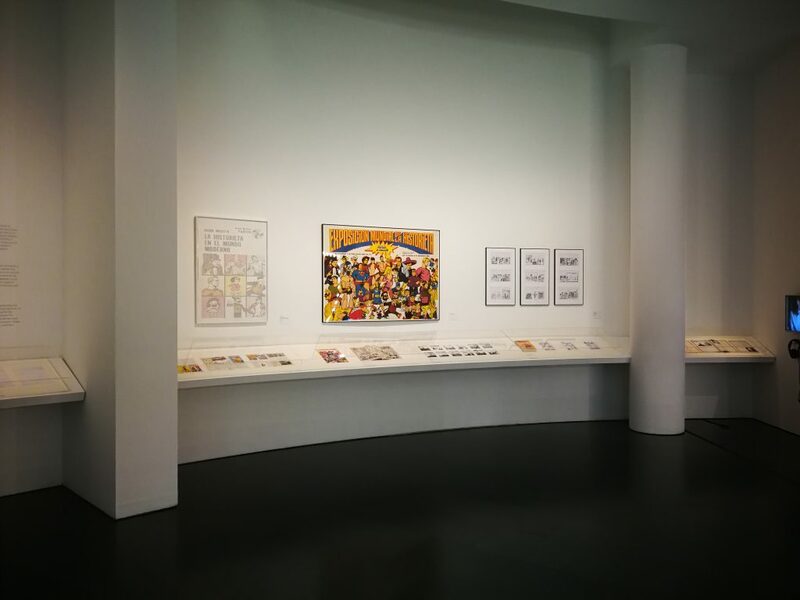 The museography presents two clear thematic axes, separated in two rooms on the first floor of the MACBA, the first one addresses the theoretical context of Masotta’s work and the second his artistic work, which despite being recognized by himself as a minor facet of his investigative work is undoubtedly a substantial contribution to the history of art. At the beginning of the tour, we find works belonging to the Argentinian avant-garde artists such as Marta Minujín, Charlie Squirru and Rubén Santatonín among others, their works from private collections pose the substrate on which Masotta developed a great theoretical body: the pop movement in Argentina in the 60s. Many of the members of this movement collaborated directly with Masotta or were subjects of his writings, in which he outlined ideas never expressed before about the relations of this movement with semiology and the historical development of the country. In the same way, that first room highlights the investigative work and the academic footprint that left in both Argentinian and Spanish cultural scene. 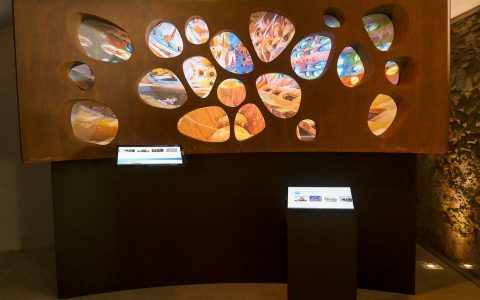 The sample highlights his work in Diseño Di Tella institute during the called “Generación Di Tella” that created artists like Julio Le Parc, Rogelio Polesello and Luis Camnitzer. Another dominant point is his research in the psychoanalysis area, specifically in the Lacanian School whose theories was an ardent defender, to the point of being the founder of the Freudian library in Barcelona, where for the first time, the literature of Jacques Lacan was known in the Iberian Peninsula. Nowadays, the psychoanalytic current in Barcelona is one of the strongest in Europa, mainly because of the efforts of Masotta. Finally, the creation of the first Global Biennial of the comic demonstrates his interest in the popular culture. cofThe speech is added through the documentary by the filmmaker Cloe Masotta, daughter of Oscar Massotta himself, who interviewed various characters from his father’s circle who tell first-hand the details of his life and explain its impact on culture both in Argentina as in Spain. The curator leaves these stories scattered throughout the room on different screens that allow the visitor to make a personal discovery of the different stages of the life of this figure so as not to force the large amount of historical and documentary information that is inside this exhibition. It took about four years of investigative work to condense the essence of such a complex figure. When continuing the second room we find the central core of the artistic activity of Masotta who despite not considering himself as an artist, he saw in the Happening an outlet for his creative necessity. As expected of every sample that exhibits action art is supported in the records left by the activity, therefore the museography keeps taking advantage of the document, the photography and the text to get an impression of what each one of the artistic interventions was. We start with his work El mensaje fantasma (1967), an example of the antihappening where media are used to make “visible” an event that never happened in real life, a critic to the constructive power of the mass media that today would be in full force. In this area of ​​the exhibition, the curatorship pretends to give greater weight to the visual elements that help describe the performance, a perfect example is the intervention of Raúl Escari: Entre in discontinuidad (1966) reconstructed through the map of Buenos Aires and the reproduction of the flyers that were distributed in five points of the city, inviting the passer-by to go through them and complete the reading. 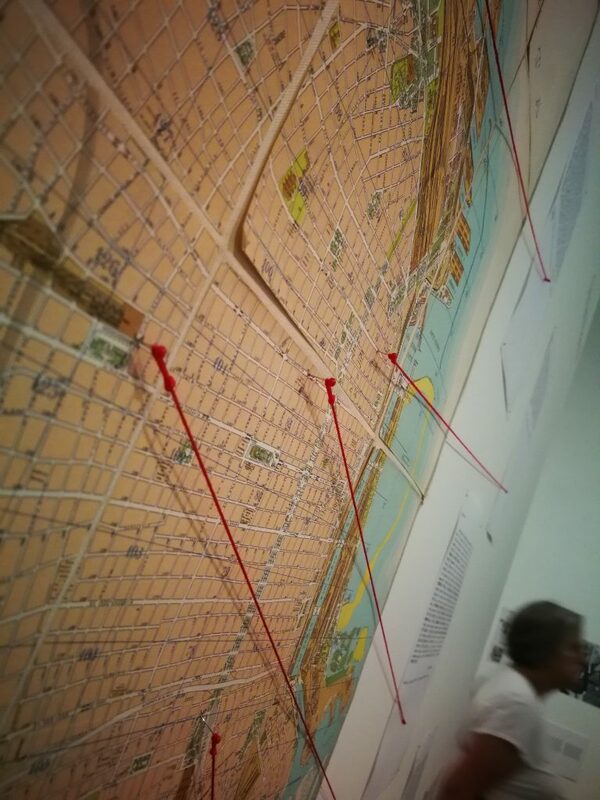 The fragments of text are joined with threads to the point on the map where they were delivered to follow the route mentally that an interested participant would have traveled. More works by Argentinian shareholders help to understand Masotta’s object of study and its cultural context. The room closes with two of the most known Masotta’s performances, El helicóptero (1967) and Para inducir el espíritu de la imagen (1966) both with records of his original execution and his realization in recent time. His performances show his timeless work about social issues that are still without being solved and in many cases only have become obvious in the current era. This is the most important contribution of the exhibition, to draw the profile of a multifaceted character that contributed and transcended in different branches of the knowledge, thus, through the investigation and the informed curatorship, the visitor can take a global vision of one of the most important Latin American intellectuals of the second half of the twentieth century.